What is the Third Interview for? Let’s talk about the first, second, and third interview process which is a selection process for many organizations. Gone are the days of immediate hire, or rather, on the spot. It is the case that with unemployment rates rocketing for some parts of the nation a selection process would be wise, and a chance to screen out and eliminate. I had the opportunity to experience such before, however; for some organizations, or industries such where one will work the phones some have their first interview right over the phone. Why the third and a fourth interview then? Some companies start with a phone screening and then move to face-to-face interaction. Other companies start with an HR behavioral interview and then move on to an interview with the manager you’d be reporting to, then invite you in for testing. 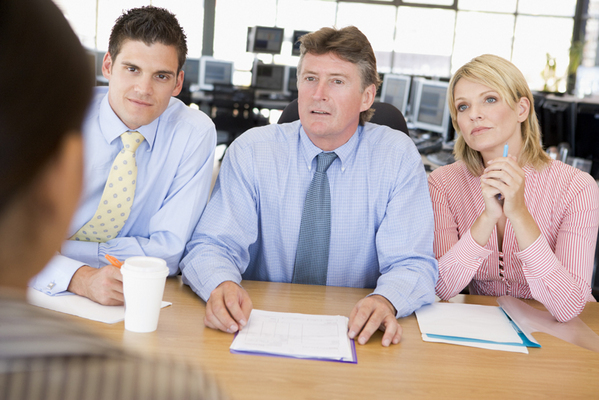 Still others require several interviews with several members of the team you’ll be working with. It’s perfectly alright to ask during your first interview what to expect, but often the process will change depending on the level of job you’re looking for and the number of candidates the company is considering. Second interviews (and any interviews beyond that) should be treated with as much professionalism as the first meeting. At this point you know they’re interested, but you have a few more runs around the bend before reaching that finish line. A huge mistake job seekers make is thinking the second interview is just a formality. You don’t have the job yet. Follow these tips to make sure you’re in top form ’til the very, very end (Johnson, 2015, para. 2). For me, I thought the process a good one. As a jobseeker I want to learn all I can about a company just in case I am hired beyond my own research. It is important for me to work with honest people just as I am sure its important for them as I am. In times past, or rather, through the years of the job hunt there has only been I fill out the application, get a call, the interview and then hire. However, this is minimal information compared to the wealth out there to be learned for some companies. Hence, in light of this I can arm myself with appropriate answers that may be appropriate depending on the interview. Morgan & Stark (2014) gave a list to determine mental capabilities stating that there are a number of tests or evaluations to be given which determine the minds of perspective employees. To name a few, they are, (a) The Big Five Personality traits, (b) Core Self Evaluations, and (c) Emotional Intelligence. In essence, I believe that the company gets a good employee by digging into their minds beforehand. This entry was posted in Business and tagged Big Five Personality Traits, Business, Core Self Evaluations, Emotional Intelligence, Employment, Interviewing, Selection, Staffing. Bookmark the permalink. ← Slum Lord or Just Plain Slow?